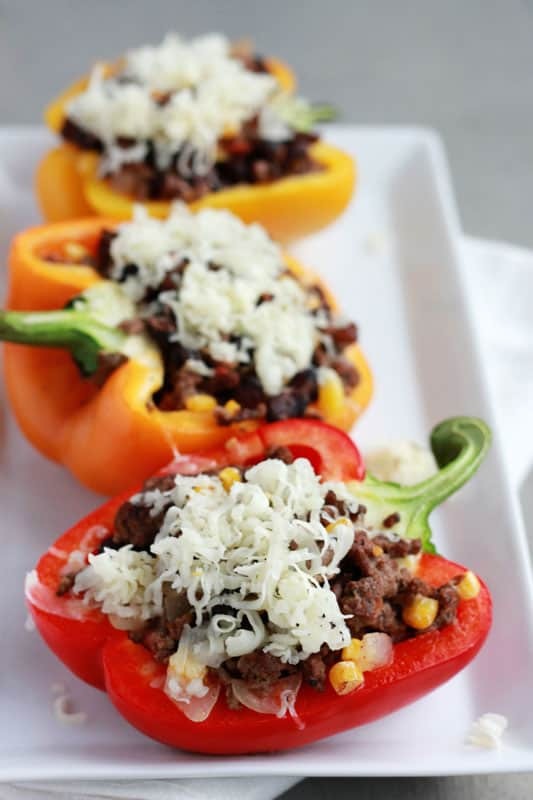 Let’s celebrate Taco Tuesday with these amazing Taco Stuffed Peppers! 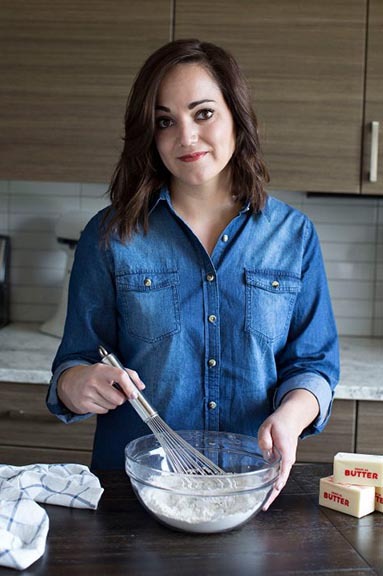 You know when you create a recipe and get SUPER excited to share it? 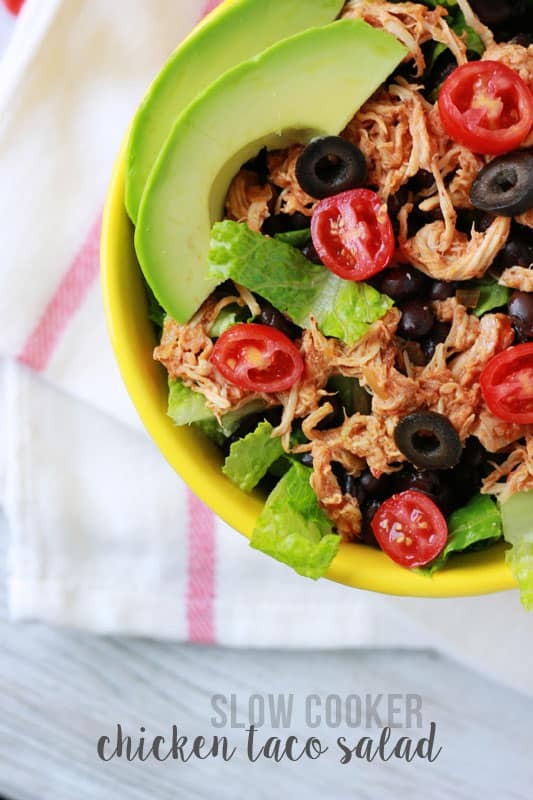 This recipe is one of those for me. We are big Taco Tuesday fans and are constantly coming up with creative flavor combos. I can’t remember exactly when but one day I suggested we create a stuffed pepper version and my husband jumped for joy. 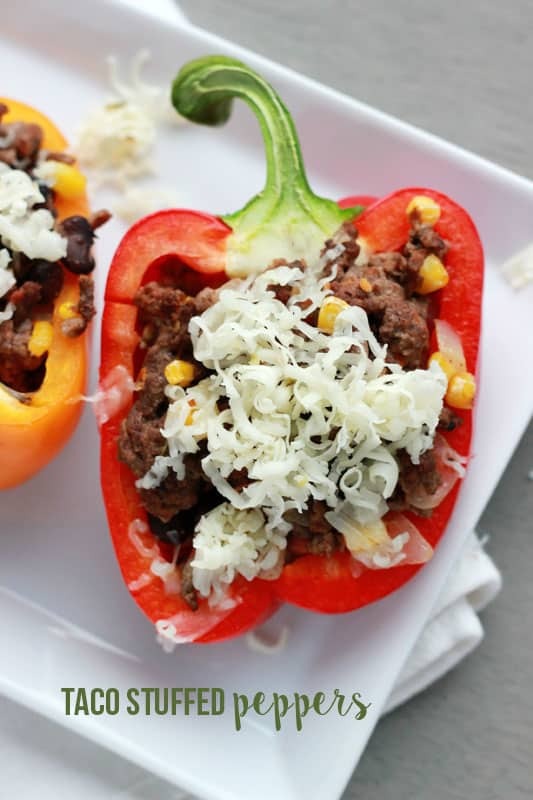 It seems so simple to use a pepper base filled with beef and cheese goodness, am I right? You know who didn’t love the idea? I mean hated and came to the table kicking and screaming? My seven year old. One glance at those colorful veggie bowls had him fake gagging and tearing up as we forced him to take a bite. Turns out he was under the impression that all peppers are spicy because the next thing I knew he had devoured his entire serving and declared this the “BEST Taco Tuesday” in One Sweet Appetite history. We’re adding these to our regular menu rotation and I hope you do too! While I used a variety of colors for our dinner you really can just stick with one if you’d prefer. It really doesn’t add or take away from the flavors at all. We just happened to see a big variety bag at our local grocer and the foodie inside of me knew I needed them in my cart. I thought slicing the peppers in half instead of scooping out the insides would help cut down the cooking time and also give these an extra appealing visual appearance so if you decide to go the route of slicing the top off and scooping the seeds I would maybe add a minute or ten to the cooking time. You want the inside to be nice and warm before you serve them and the peppers nice and soft. So what do you think? 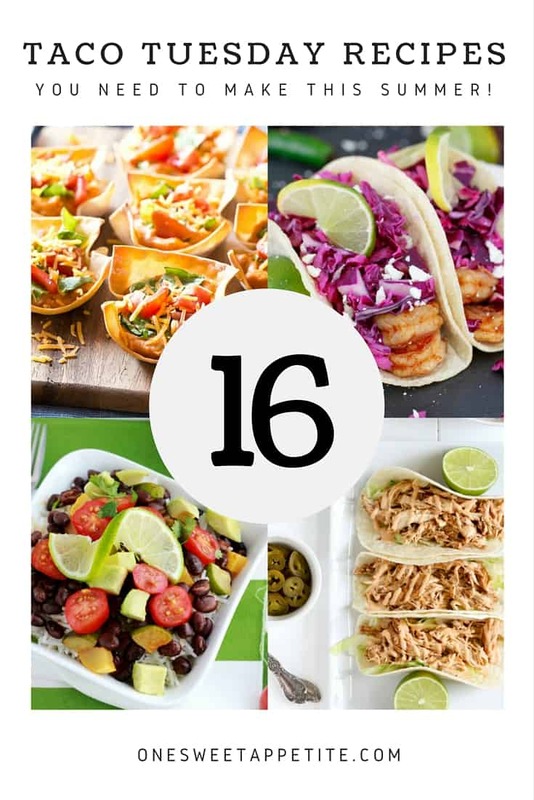 Are you going to mix up your menu and give these a try? Add the ground beef and onion to a large skillet. Cook until onions are soft and beef is cooked through. Stir in the taco seasoning, black beans, and salsa. Bring to a simmer and cook 5-7 minutes or until some of the liquid is dissolved. Remove from the heat and stir in the rice and enchilada sauce. 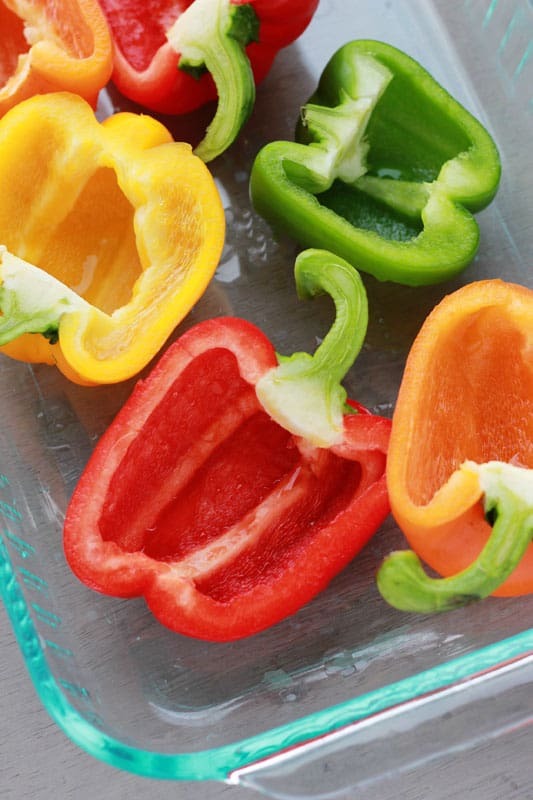 Stuff into each half of your cleaned peppers. Bake at 350 degrees for 20 minutes or until heated through. 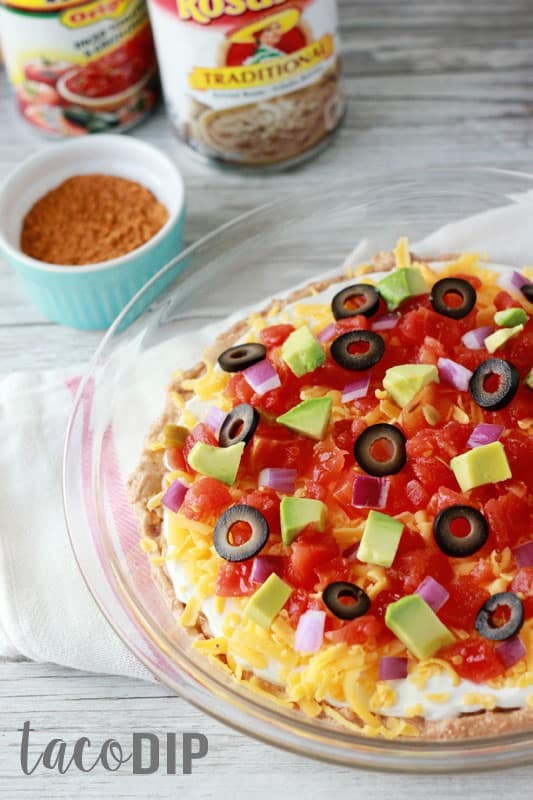 Top with cheese, guacamole or sour cream.